When God sent blindness upon Israel and set them aside, to remain in that state ‘until the fullness of the Gentiles be come in’ Romans 11:25, and then began a new ‘RECONCILIATION’ movement (Romans 11:15; 2 Cor. 5:16-21; and Romans 5:11), and ushered in a new ‘DISPENSATION’ for the nations, it was not an afterthought with God. It was rather a Divine program which God had ‘PURPOSED’ in Christ, BEFORE the world began. (2 Timothy 1:9; Titus 1:2-3; Romans 8:28-30; Ephesians 1:4-11; Ephesians 3:11; and Ephesians 3:9). Surely any minister of Christ, who claims to be a faithful steward of the Mysteries of God (1 Corinthians 4:1-4), should know that there is a great difference between ‘the restitution of all things spoken by the mouth of all the holy prophets since the world began’ (Acts 3:19-21; Romans 11:26-29) and ‘THE MYSTERY,’ Which was not spoken by the mouth of any prophet since the world began; but was God’s own predestinated, but untold SECRET, ‘Which hath been hid from ages and from generations.’ (Colossians 1:25-26). The ‘GOSPEL’ of 1 Corinthians 15:1-4 was made known to and by God’s prophets since the world began; for Christ died for our sins and was raised the third day, ‘ACCORDING TO THE SCRIPTURES’ (Acts 13:29-30). But the ‘MYSTERY OF THE GOSPEL’ (Ephesians 6:19-20), for which Paul suffered as an evil doer in the Roman jail (2 Timothy 2:7-9), was never made known to, or by, any servant of Christ, until the risen, glorified Christ, far above all heavens, revealed it to His prisoner, the Apostle of the Gentiles, the Apostle of Reconciliation. The Apostle Paul was not in jail in Rome for preaching the prophesied ‘GOSPEL,’ but for telling a Secret, for proclaiming the un-prophesied, predestinated ‘MYSTERY OF THE GOSPEL." Now, once again pay close attention...The LORD Jesus Christ, on earth, was a Minister of the Circumcision (Israel), to confirm promises made to Israel (Romans 15:8). God never promised to Israel that they would obtain mercy, in the Dispensation of Grace, through the mercy of Gentiles (Romans 11:31); or that Christ would remain far above all heavens for more than 2000 years as Head of the Church, Which is His Body (Ephesians 1:19-23); that during this present un-prophesied age and dispensation God would build a Body to be presented to Christ as a glorious, holy, spotless, blameless Church (Ephesians 5:26-28). BECAUSE, this was God’s ‘before-the­-world’ ‘PURPOSE,’ not revealed to His prophets, it was God’s ‘SECRET’ or ‘MYSTERY. Keep in mind, in His ‘CONFIRMATION’ ministry on earth Jesus of Nazareth did not confirm ‘the Dispensation of the Mystery’ Ephesians 3:9, because it was not included in the promises which God made to the fathers by the prophets (Romans 15:8). While on earth Jesus Christ, DID confirm to Israel the promises of God made to their fathers by the prophets concerning ‘THE TREE’, ‘THE TRIBULATION’, and ‘THE THRONE’. Israel had been promised the resurrection OF the dead: they had that hope (Acts 28:20; Acts 23:6; Acts 24:15; Acts 26:6-7). They knew that there would be a resurrection both of the just and the unjust (Acts 24:15); but they did not know the ‘MYSTERY’ coming of Christ (1 Corinthians 15:51-54), the hope of the ‘MYSTERY’ Church, the resurrection OUT FROM AMONG the dead. Yes the ‘TREE’ (Calvary) was in fulfillment of Prophecy. (Acts 13:29-30). The ‘THRONE’, David’s THRONE, the THRONE of Christ’s glory on earth, will be in fulfillment of many Prophecies. The ‘TRIBULATION’ will be in fulfillment of several Prophecies, such as Jeremiah 30:4-11. The “Sign” Gang and The Any-Moment Coming of Christ. 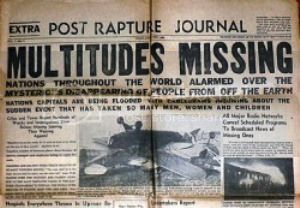 In one message concerning the coming of Christ, for His Church, “the messengers”, which we will now refer to as the ‘Sign Pre-Tribulation Pre-Millenarians’, will persuade their hearers to believe in the ‘Imminent’ coming of Christ because many outstanding, spiritual, faithful Christians in other generations and centuries looked for the return of Christ in their time, and THEN, in the very next message they try to convince their hearers that they should expect to be Raptured any moment because Ezekiel 38-39 or some other O.T. Prophecies are being fulfilled by Putin, Ahmadinajhad, and other world rulers. Surely, if any of these men had to come on the scene and do certain things to fulfill certain O.T. Prophecies before Christ could come to call His Body to be with Him in glory, then those Pre-Tribulationists of the 17th, 18th, 19th, or 20th centuries, who expected Christ at any moment, years before these world leaders of today were born, did, greatly err, not knowing the Scriptures, not being good discerners of signs. 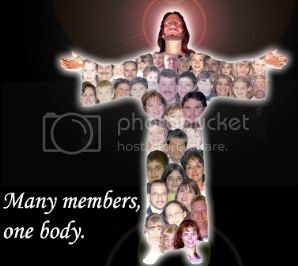 We should all be agreed that God is making in this Age and Dispensation of Grace ‘ONE NEW MAN’ Ephesians 2:15; and that God will complete the Body of Ephesians 4:9-13, which He is building up, before Christ, calls His Body to meet Him in glory; and that completing that Body does NOT depend in any way upon what Ping does in China, or Putin does in Russia, or May, Hollande, and Merkel do in Europe , or what the Jews, Arabs, and Muslims do in the Middle East. God will surely bring the end described in Ephesians 4:13 and then Christ will do with the Church, His Body, what is recorded in Ephesians 5:26-28. After THAT…hundreds of Old Testament Prophecies will be fulfilled. But every spiritual, intelligent student of the Scriptures knows that there is a sense in which the clock of prophecy has stopped until after the ‘MYSTERY’ coming of Christ, in 1 Corinthians 15:51-54. Not that there haven’t been plenty of “date-setting” schemes, and some men of God, sound in evangelical truth, have even tried to fix the date of the coming of Christ, figuring from some dates they thought Daniel had fixed, ‘the seven times’. They multiplied 7 x 360 and added 2520 years to the year the King of Babylon invaded Jerusalem (about 606 BC); so the Lord was to come not later than ‘the feast of trumpets’ in 1914 AD. When He did not arrive, they guessed again, saying they should have dated from Nebuchadnezzar’s second invasion. Then there was the more recent 1984 crowd, and the Y2K gang, and of course the 2012 crew. The guessing has not ceased. So many NOW reason, that if the Church is going into the Great Tribulation before the Rapture takes place, members of the Body of Christ should either harden themselves for that awful time of sorrow or pray that they and all their loved ones and all of the members of the Body of Christ will die before the beginning of the Great Tribulation rather than look for the RAPTURE of the Church, which, in their minds won’t be happening. Before the close of the first Christian century the Holy Spirit through the Apostle John wrote: “it is the last time; even now are there many antichrists, whereby we may know that it is the last time” 1 John 2:18; “many false prophets are gone out into the world.” 1 John 4:1. There are many false prophets and antichrists in the world today. So have there been in every Christian century since the Apostle Paul and the Apostle John died. The early centuries were pretty dark ones spiritually. How about the years of Martin Luther or the seventeenth and eighteenth centuries in England and Europe? The Children of God during those years had no ‘Bill of Rights’, and many of them were imprisoned and tortured. They did not have a million printing presses and millions of Bibles. During those centuries the foundational doctrine of ‘Justification By Faith’ was recovered. Then later the truth of the ‘One Body’ and the ‘Blessed Hope’ of Titus 2:13. Now, today, here and there, a few persecuted servants of Christ, in the middle of the sectarianism that is wreaking havoc with Christians, who are opposed by religious leaders who are more interested in established traditions and denominational programs than in any desire to obey Ephesians 3:9, are trying to recover or uncover the most wonderful truth in all of the Bible…‘THE MYSTERY OF GOD’S WILL’ (Ephesians 1:9; Ephesians 1:15-18; Ephesians 5:26-28), which was hidden in God until the glorified LORD Jesus Christ, in heaven revealed it to and through the Apostle of the Gentiles, the Lord’s prisoner for the Gentiles, the Apostle Paul (Ephesians 3:1-4; Colossians 1:24-26; Romans 11:13). This, in spite of the fact that there are more spiritual, faithful, intelligent Bible students in the world today than ever before, and although in many respects this is the brightest and most prosperous age ever known to man, there is an awful apostasy from the Faith on the earth, and last century we saw two of the bloodiest and most brutal wars in the history of the human race, with this century starting off no better. So, whether we are Post-Millenarians, A-Millenarians, Pre-tribulation, Pre-Millenarians or Post-Tribulation Pre-Millenarians, it is wonderful to know that there is going to be on this earth a warless age, according to Isaiah 2:4 and Micah 4:3. Also regardless of which of these ‘Millennial’ groups we belong to, we should know that WE ARE the Children of Light and the Day of the LORD should not overtake us as a thief in the night. (1 Thessalonians 5:1-6). When the Lord Jesus Christ comes as ‘the Son of man,’ according to Luke 18:8, He will not find Faith on the earth. Why Not? Because He will not find the Body of Christ here. 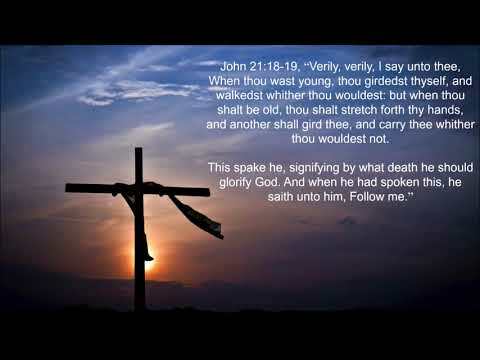 Christ is not coming to this earth, as the Son of man, to take the members of the Mystery, the Body, to appear with Him in glory. (Colossians 3:1-4). Christ is not ‘the Son of man’ in His relation to the Church, as ‘the Head of the Body.’ He is NOT coming to the earth to Rapture the Church. 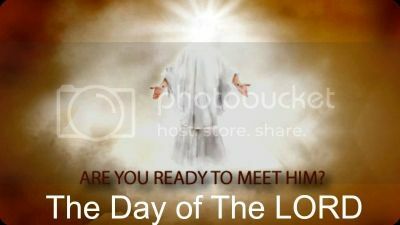 The Body of Christ is going to meet Him above the earth. Think about it...If the Christ, should come to the earth for His Body at any moment now, He would find on this earth more Faith, more intelligent Bible‑taught Children of God than ever lived on this earth before!! However, Christ would also find millions of religious church‑members going religiously to everlasting perdition, and a great multitude of apostate preachers and pastors and seminary professors, who are propagating ‘Christianized agnosticism’ in the name of evangelical, Protestant Christianity, using Bible phraseology and terminology to lead their unwary victims to the ditch with them. These devils call themselves ‘Modernists,’ seemingly ignorant of the fact that a ‘Christian infidel’ is an impossible paradox. Christ would also find a great multitude going to the same endless and conscious perdition in some metaphysical cult, also giving forth their satanic vagaries in the name of Christ and Christianity. These false prophets were foretold and foreordained to this ministry. 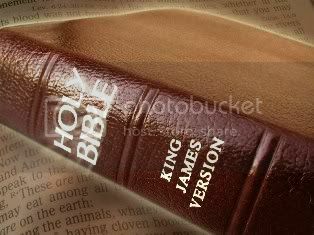 (2 Peter 2:1-2; Jude 4; 2 John 7; 2 Timothy 3:1-5; and 2 Timothy 4:3-5). There is a great difference between God’s prophesied program, ‘BUILD AGAIN THE TABERNACLE OF DAVID’ Amos 9:11-15, and God’s UN-prophesied ETERNAL PURPOSE ‘BUILD UP THE BODY OF CHRIST.’ Members of the Body of Christ, in this Age, Economy, and Reign of Grace, are to be established according to the Apostle Paul’s gospel, Romans 16:25. Now...When the Jews started returning and migrating back to the Land, and when Israel as a Nation was reborn in 1948, and captured Jerusalem in 1967, BEFORE Christ’s return for His Body, and because of the chaos in Europe and Asia, Bible teachers and Evangelists, who were formerly Pre-Tribulationists became Post-Tribulationists. 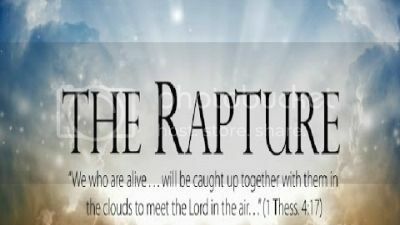 Therefore, they stopped believing in the imminent coming of Christ, for His Body, the Church; but on the contrary they began to ridicule those who teach what they call, ‘the any‑moment theory.’ With them, it’s the GREAT TRIBULATION that is imminent, not the RAPTURE, or Harpazo, of the Body of Christ. What these numerous so called pastors, preachers, and evangelists, FORGOT was God’s principle for this parenthetical period for members of the Body of Christ, “who have been turned to God from idols, to serve the true and living God, and to wait for His Son from heaven” 1 Thessalonians 1:9-10, “whose citizenship is in heaven and look for the appearing of the Lord Jesus Christ to fashion their bodies like unto His body of glory” Philippians 3:20-21. That principle is to walk by Faith and not by sight. 2 Cor. 5:7-8. THEY walk by ‘SIGNS,’ especially ‘SIGNS’ that pertain to Israel and their ‘TIME OF TROUBLE’ and their prophesied ‘MESSIANIC KINGDOM.’ They no longer believe that the Child of God should look for the Son and not for signs. As you know if you are a member of The Lion and Lamb Ministry, I have been posting message after message endeavoring to establish saints according to Romans 16:25, and persuade sinners to be reconciled to God, as is the Body of Christ commission as Ambassador’s for Christ in the Ministry of Reconciliation, 2 Cor. 5:18-21, to believe Romans 5:20-21 and Ephesians 2:8-10. What a privilege to proclaim the unmixed Gospel of the Grace of God and show poor, condemned, ruined, ungodly sinners, that where sin abounded, Grace doth much more abound; and to explain from God’s Word how they can be saved without religion, works, or worthiness. Therefore, you can now see even clearer, what a spiritual crime it is to endeavor to make God’s Grace Salvation more effective, more better, by adding any of man’s doings to the perfect redemptive work of the perfect Christ, Who, on the cross, said ‘FINISHED,’ and then and there put away sin by the sacrifice of Himself. Hebrews 9:26. What blessed satisfaction and peace to trust and rest in Christ’s perfect work, and thereby receive from God, as His free gift, His own perfect Righteousness (2 Cor. 5:21; Romans 10:4-10), His free gift, eternal life through Jesus Christ, our LORD (Romans 6:23); and then to know that the believer fulfills the righteousness of the Law by walking in the Spirit (Romans 8:4), and finds God’s abounding Grace altogether sufficient to enable him to thus walk (2 Cor. 9:8 and Titus 2:11-14). I could not help myself from comparing the messages which I heard some of the so-called outstanding Pre-Tribulationists deliver just prior to the year 2000, and then in the aftermath of the 9-11-2001 tragedy, and now. 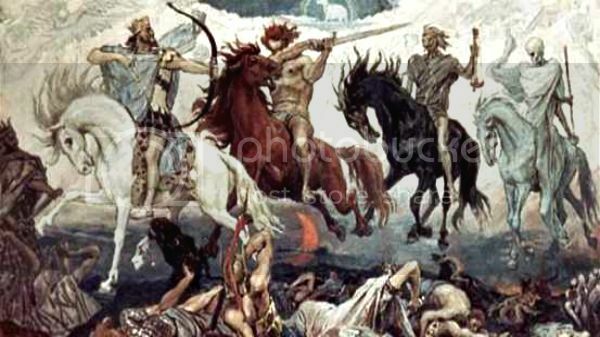 Just prior to the year 2000, or Y2K, many of the ‘sign’ Pre-Tribulationists were sure, or tried to persuade their followers they were sure, that the revived Roman Empire was even nearer than just around the corner and the Church, the Body of Christ, would be Raptured very, very soon, if not sooner, because of the Y2K computer mess, and the political activities of the European Union. Ok, so that came and went. Then the ‘sign’ Pre-Tribulationists had to turn to Osama Bin Laden. So 9-11 was the big sign; and surely he and his followers would be the long-­expected ‘Beast’ of Revelation 13. When that didn’t materialize, they have a new ‘sign’ for their followers who must have signs (Matthew 16:4, and 1 Corinthians 1:22). And that is, what is now going on in the United States, along with what’s happening in Europe, Russia, and Asia, is prophesied in Psalm 83 and Ezekiel 38-39. So that now all of the well-known and accepted Pre-Tribulationalists must have some messages on ‘Gog,’ ‘Magog,’ ‘Gomer,’ ‘Tubal’ and the ‘Prince of Meshech’ and convince their hearers that what the ruler of Russia is doing is in fulfillment of Ezekiel’s Prophecy and proof positive that very, very soon the Lord Jesus, in a moment in the twinkling of an eye, will come for His Body, as the Rapture of 1 Thessalonians 4:13-18 and 1 Corinthians 15:51-54 will take place. Shortly after the Rapture, they say, the ‘lawless one’ of 2 Thessalonians 2:1-11 shall appear; and with his appearing the ‘Great Tribulation’ of Matthew 24:21 will be on the earth. As the members of The Lion and Lamb Ministry already know, and I would have all of our readers understand that I am a Pre-Tribulationist and therefore am anything but the scoffer of 2 Peter 3:3-4, who says, “where is the promise of His coming?” I believe with all my heart that the omniscient and omnipotent God, “worketh all things after the counsel of His own will,” Ephesians 1:11; that He not only “knew the end from the beginning,” Acts 15:18, but that HE CHOSE before the foundation of the world those who are to make up the Body of Christ, the ‘Joint‑Body’ (Sussomos) of Ephesians 3:6, Which is to be presented to Christ as glorious, holy, spotless, and blameless. (Ephesians 5:26-28; Ephesians 1:4-5, and Titus 1:2-3). I know that God will complete His work, making ‘THE ONE NEW MAN’ of Ephesians 2:15 during this present age and dispensation; and that He will, in His own time, bring the culmination or consummation of Ephesians 4:13. Also, I am sure that the perfecting of this masterpiece of God does NOT depend upon what Putin, the Rockefeller’s, Bilderberger’s, the Rothschild’s, the Satanists at Bohemian Grove, or what the U.S. Gov. and the UN will decide to do concerning the partitioning of Israel and Jerusalem. What you all, Children of God, have to wrap your minds around, is that in a sense we are living in a time-less, religion-less, and sign-less age. But we should know, and be rock-solid on, that according to God’s sure Word of Prophecy, The Bible, that blind Israel and unbelieving Gentiles have a really, really, really BIG reason to very much fear the future; for “the Lord Jesus shall be revealed from heaven with His mighty angels, in flaming fire taking vengeance on them that know not God, and that obey not the gospel of our Lord Jesus Christ: Who shall be punished with everlasting destruction from the presence of the Lord, and from the glory of His power: When He SHALL HAVE COME (ELTHE) to be glorified in His saints, and to be admired in all them that believe.” 2 Thessalonians 1:7-10. The word ‘ELTHE’ properly translated, ‘SHALL HAVE COME,’ most assuredly suggests that the Body of Christ SHALL HAVE BEEN RAPTURED before Christ, comes to the world of unbelievers and ungodly sinners to execute wrath. 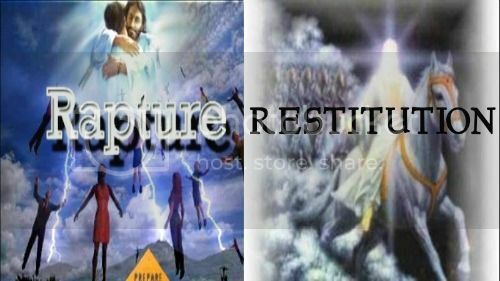 Pre-Tribulationists, in past years, like 100 years ago, taught that before there will be world peace and universal righteousness, there must be four great events, AND, in the following order: 1) The Rapture of the Church; 2) The Jews return to the Holy Land IN Unbelief; 3) The Coming of The LORD Jesus Christ, as the Son of Man to be King and Judge; and 4) The imprisonment of Satan in the bottomless pit. Revelation 20:1-3. Now, this is important…Certainly every minister of Christ, should be a faithful steward of the Mysteries of God, 1 Corinthians 4:1-4, and as such, should so rightly divide the Word of Truth as to know the difference between God’s present program, the making of ‘THE ONE NEW MAN’ of Ephesians 2:15, and God’s NEXT program bringing forth ‘THE NEW ISRAEL’ of Isaiah 62:1-4. ‘THE ONE NEW MAN’ is the ‘Body of Christ, the MYSTERY,’ which was PURPOSED in Christ before the foundation of the world. Ephesians 3:11 and Ephesians 3:9. Chosen in Christ before the world began. 2 Timothy 1:9, and Ephesians 1:4-11. The Body of Christ was PREDESTINATED, but not PROPHESIED. However, THE KINGDOM, which Christ, announced was at hand in Matthew 4:17, will BE at hand when the Son of Man comes in the cloud with power and great glory as we see in Luke 21:27-33, when He shall sit on the throne of His glory as King and Judge, Matthew 25:31, and His twelve apostles shall sit on twelve thrones judging the twelve tribes of Israel, Matthew 19:27-28. Christ, at the present time is far above all heavens, and is on His Father’s throne in heaven, “Head over all things to the Church, which is His Body” Ephesians 4:9-11 and Ephesians 1:19-23, while now on earth the MYSTERY among the Gentiles (which is no longer a mystery) is ‘CHRIST IN YOU, THE HOPE OF GLORY’ Colossians 1:27. When the Son of Man returns to earth to establish the KINGDOM of Matthew 25:34, it will NOT be that KINGDOM OF GOD (THE BODY) PURPOSED in Christ BEFORE the foundation of the world; BUT it will be that KINGDOM PREPARED FROM the foundation of the world PROPHESIED but not PREDESTINATED. It will NOT be the coming of Christ, that pertains to the MYSTERY of 1 Corinthians 15:51-54, the Blessed Hope of Titus 2:13, which is His coming to remove His Body to glory, that will usher in the millennium; BUT, it will be the coming of the King to earth to take over the government of the world, to rule with a rod of iron, but in equity and justice. “Do ye not know that the saints shall judge the world?” 1 Corinthians 6:2. 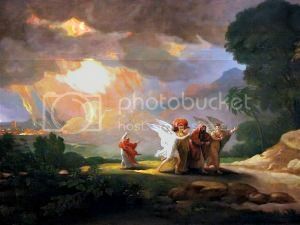 You see, the PROPHESIED KINGDOM OF GOD, which will bring to this earth universal peace and righteousness, will be both POLITICAL and SPIRITUAL; for the coming of God’s Son from Heaven to this earth will bring about the RESTITUTION OF ALL THINGS, SPOKEN BY THE MOUTH OF ALL THE HOLY PROPHETS SINCE THE WORLD BEGAN. Acts 3:19-24, and Luke 1:67-77. It was after Christ ascended FAR ABOVE ALL HEAVENS that He gave gifts unto men, for “THE BUILDING UP OF THE BODY OF CHRIST” Ephesians 4:9-13; and it was by SPECIAL REVELATION that Christ in Heaven made known to the Apostle Paul that this present ‘DISPENSATION OF THE GRACE OF GOD’ is the ‘DISPENSATION OF THE MYSTERY’ Ephesians 3:1-4, and Ephesians 3:9; that the Body which is a part of the over‑all KINGDOM OF GOD, is SPIRITUAL but not POLITICAL. Concerning the making or building of the Body of Christ during this Age of Grace all of the Old Testament prophets were both silent and ignorant, “THE MYSTERY Which has been hid from ages and from generations; but now is made manifest to His saints.” Colossians 1:24-26. If you have been saved by God’s infinite, marvelous abounding Grace and Faith in the precious shed blood of The LORD Jesus Christ, then of course you should know that you have been baptized by a Divine baptism into the Body of Christ, and you should also know that members of Christ’s Body are going to appear with Him in glory (Colossians 3:1-4), that the coming of Christ, for His Body is called the believer’s ‘blessed hope.’ Titus 2:13. Now, about six months back, two other pastors that I know, who are Post-Tribulation Pre-millenarian, wrote me an email that they had written to more than 200 preachers and Bible teachers, including some of the outstanding Fundamentalists in this country, asking them to give to them the Scriptures that they were using to prove that the Church, the Body of Christ would NOT be in any part of the Great Tribulation. One of them told me, with the exception of one uncertain verse, (as to meaning of it, Revelation 3:10), he had received NO replies mentioning Scriptures that would prove the belief of the Pre-Tribulationists. The other pastor, who sent out the questions, emailed me that the only Bible teachers who CAN prove that the Body of Christ will NOT go into the Great Tribulation are those obeying and following Ephesians 3:9 or who at least know what is meant by ‘the Dispensation of the Mystery,’ ‘which from the beginning of the world hath been hid in God.’ Whether this is true or not, the Truth concerning the MYSTERY does prove that the Body of Christ, will not go through the Great tribulation. This is what I want to consider in this message. Now, all Children of God, who believe that we do “have a more sure Word of Prophecy whereunto we do well that we take heed, as unto a light that shineth in a dark place until the day dawn” 2 Peter 1:19, believe that the Son of God is coming back to this earth, as the Smiting Stone of Daniel 2:32-46, as the Son of Man in the cloud with power and great glory, to bring an end to ‘the time of the Gentiles,’ and for Israel’s redemption, Luke 21:24-32 and Romans 11:26, in fulfillment of Isaiah 9:6-7, to sit as the Prince of Peace, on David’s Throne, with the government on His shoulder. The LORD Jesus Christ, was born to take the throne of David, Luke 1:27-33. Christ was raised from the dead to take the throne of David, Acts 2:27-33. Christ is coming back to take the throne of David, Acts 15:15-18. When The LORD Jesus Christ, was born to take David’s throne, God’s messengers proclaimed, ‘Peace on earth’ Luke 2:14. ­When the rejected Messiah declared that He was going to Calvary’s cross, and not at that time to David’s throne, He said, ‘No peace on earth.’ Luke 12:49-52. Will the Church, the Body of Christ, be in The Great Tribulation? “Thus shall it be when the Son of man is revealed.” “Thus”…“Thus shall it be.” The revelation of the Son of man refers here to His coming in judgment. 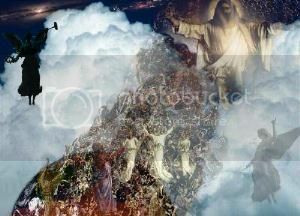 According to the Word of God the Nation Israel is headed for judgment, the Great Tribulation. Jeremiah 30:5-11. Israel is going to be saved out of that time of sorrow. At the same time the wrath of the LORD will fall in great judgment upon the nations. Christ is NOT called the “Son of man” in His relation to the Church, which is His Body. However, He IS the “Son of man” to Israel and as judge of the nation. It is as the “Son of man” that He is coming to deliver Israel. 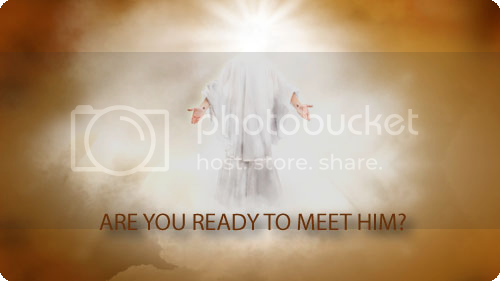 It is as the “Son of man” that He is coming to sit, as Judge, on the throne of His glory. Matthew 25:31-46. Inasmuch as the experience of Lot in Sodom is linked up with the coming of the Son of man in judgment, we should carefully study the experience of Lot.